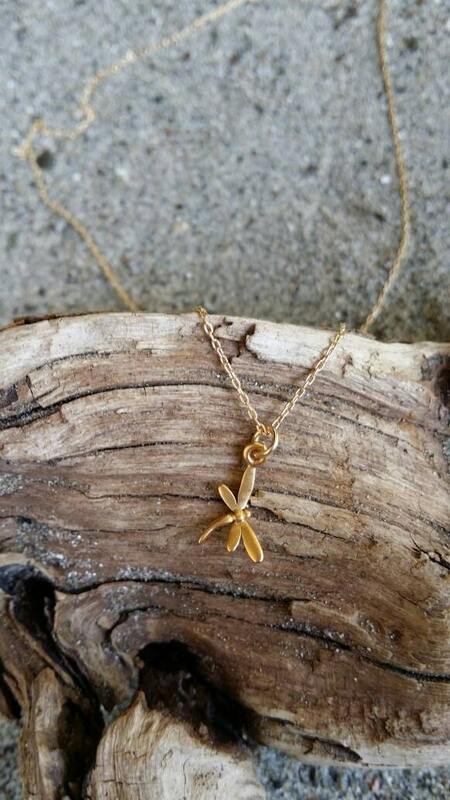 This teenie tiny matte gold dragonfly charm is so sweet and delicate, it is a perfect every day necklace. 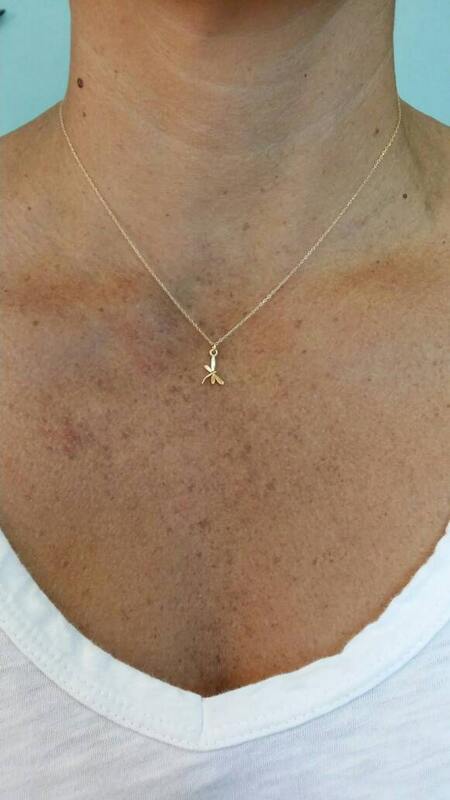 The charm is 22k gold plated over sterling silver and left matte for a modern look. 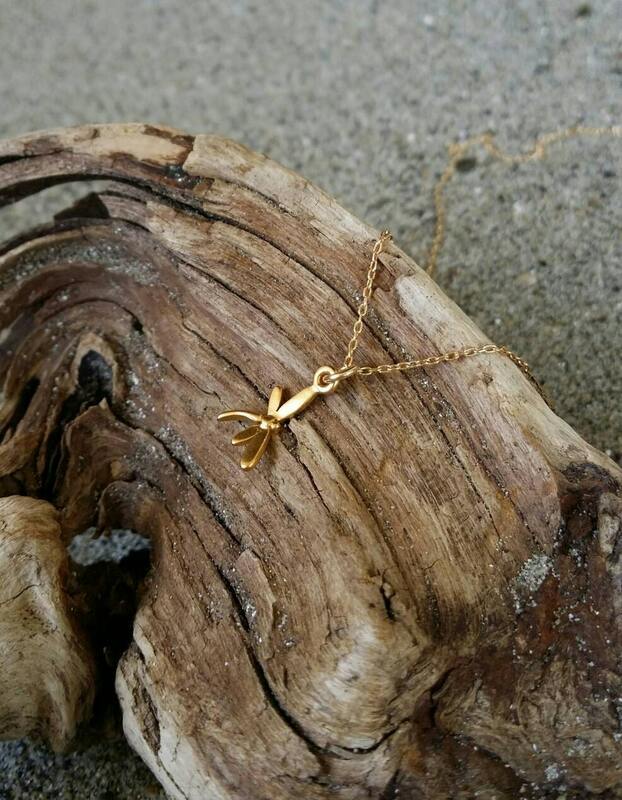 It hangs from a small but strong gold filled chain. 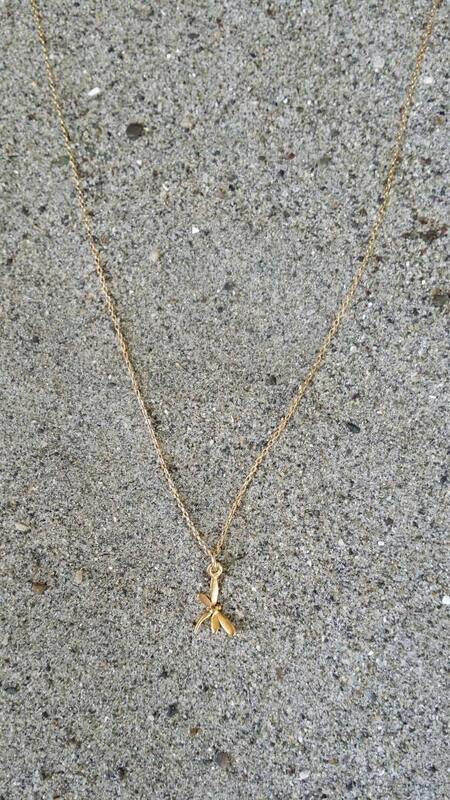 Beautiful and dainty! Fast shipping and arrived just as described. Thank you! So delicate and pretty. The only thing---you can't remove it from the chain. Absolutely perfect! Just as it appears on picture. Very dainty but just beautiful!! 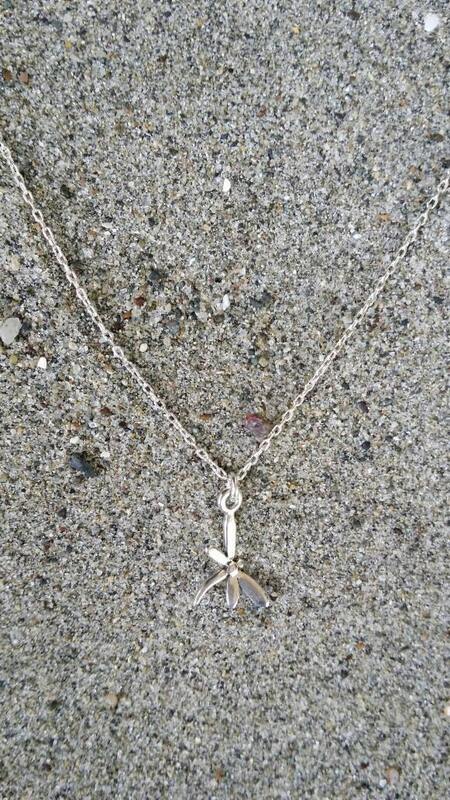 Beautiful and delicate, cannot wait to give this as a Christmas gift!